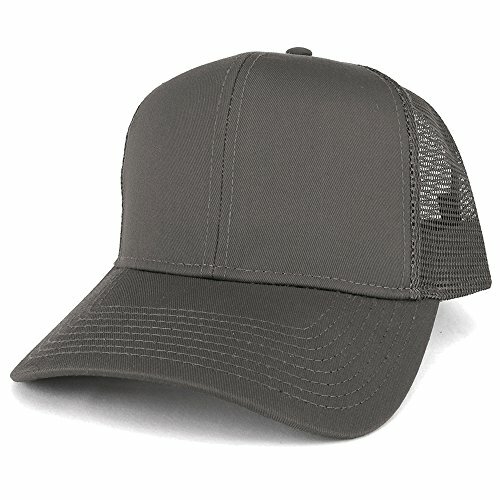 Armycrew XXL Oversize High Crown Adjustable Plain Mesh Back Trucker Baseball Cap is perfect for those looking for big size trucker mesh caps. This cap has deeper crown than normal baseball caps. 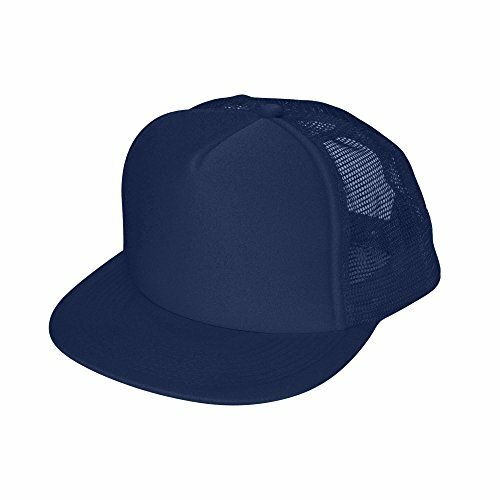 It is snapback adjustable and comfortably fits 2XL-3XL (or Hat Size 7 3/4 to 8 1/8). Made of 65% Polyester 35% Cotton. This cap is High Crown, 6-Panel, Firm and Structured. Seamed Front Panel with Full Buckram. 6 Embroidered Eyelets. Pro Stitch on Crown. 6 Rows Stitching on Visor. Matching Fabric Undervisor. Matching Color Sweatband. Plastic Adjustable Snap. Comfortably Fits 2XL/3XL or Hat Size 7 3/4 to 8 1/8. 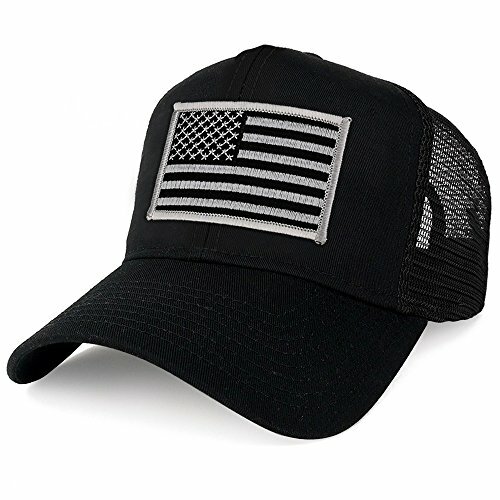 Armycrew XXL Oversize Black Grey USA Flag Patch Mesh Back Trucker Baseball Cap is perfect for those looking for big size trucker mesh caps. This cap has deeper crown than normal baseball caps. It is snapback adjustable and comfortably fits 2XL-3XL (or Hat Size 7 3/4 to 8 1/8). Made of 65% Polyester 35% Cotton. This cap is High Crown, 6-Panel, Firm and Structured. Seamed Front Panel with Full Buckram. 6 Embroidered Eyelets. Pro Stitch on Crown. 6 Rows Stitching on Visor. Matching Fabric Undervisor. Matching Color Sweatband. Plastic Adjustable Snap. Comfortably Fits 2XL/3XL or Hat Size 7 3/4 to 8 1/8. Armycrew XXL Oversize Black Olive USA Flag Patch Mesh Back Trucker Baseball Cap is perfect for those looking for big size trucker mesh caps. 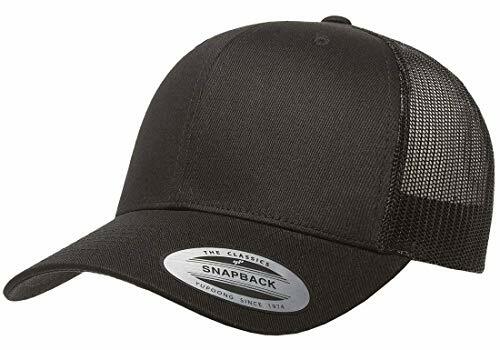 This cap has deeper crown than normal baseball caps. It is snapback adjustable and comfortably fits 2XL-3XL (or Hat Size 7 3/4 to 8 1/8). Made of 65% Polyester 35% Cotton. This cap is High Crown, 6-Panel, Firm and Structured. Seamed Front Panel with Full Buckram. 6 Embroidered Eyelets. Pro Stitch on Crown. 6 Rows Stitching on Visor. Matching Fabric Undervisor. Matching Color Sweatband. Plastic Adjustable Snap. Comfortably Fits 2XL/3XL or Hat Size 7 3/4 to 8 1/8. 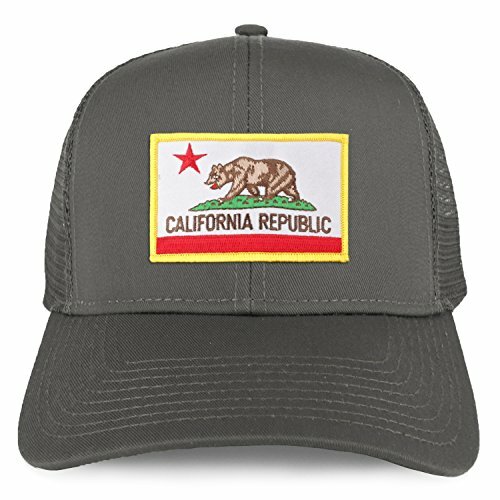 Armycrew XXL Oversize California Flag Iron On Patch Mesh Back Trucker Baseball Cap is perfect for those looking for big size trucker mesh caps. This cap has deeper crown than normal baseball caps. It is snapback adjustable and comfortably fits 2XL-3XL (or Hat Size 7 3/4 to 8 1/8). Made of 65% Polyester 35% Cotton. This cap is High Crown, 6-Panel, Firm and Structured. Seamed Front Panel with Full Buckram. 6 Embroidered Eyelets. Pro Stitch on Crown. 6 Rows Stitching on Visor. Matching Fabric Undervisor. Matching Color Sweatband. Plastic Adjustable Snap. Comfortably Fits 2XL/3XL or Hat Size 7 3/4 to 8 1/8. 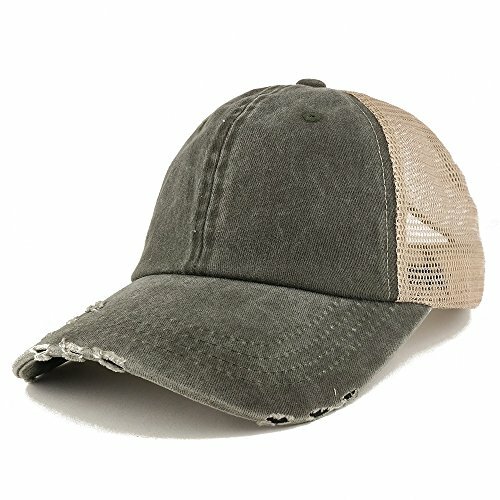 Find our cool and distressed Pigment Dyed Front Mesh Back Frayed Bill Trucker Cap for all summer outdoor activities. 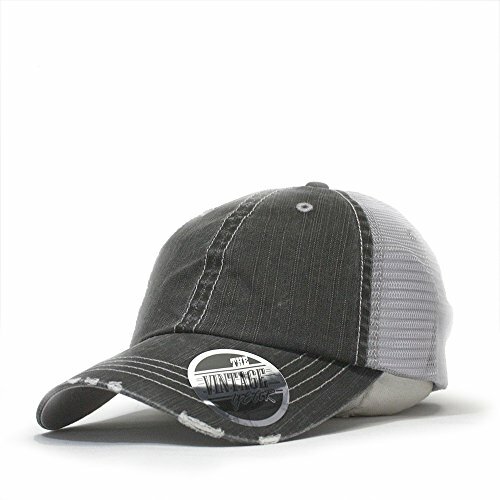 This mesh trucker cap features frayed bill. Perfect hat to embroider on. Made of 100% Cotton front and 100% Polyester back. Stiff and pre-curved bill, frayed bill. Low profile. Unstructured crown. 2 ventilation eyelets. Fitted with an inner hatband. Finished with an adjustable metal buckle strap closure. One size fits most. 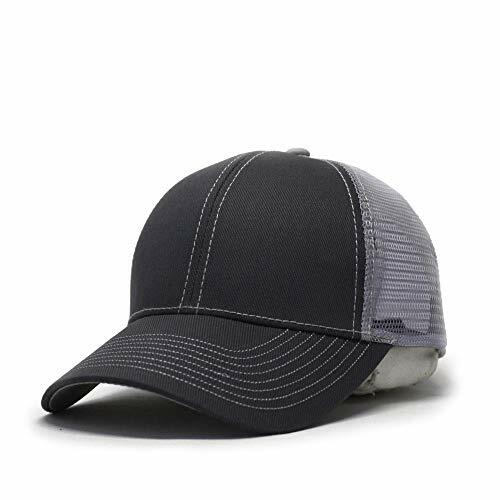 Shopping Results for "Mesh Back Trucker Baseball Cap"